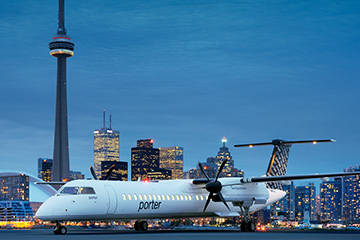 Parking.com has partnered with Porter Airlines to provide safe and affordable off-site parking to customers flying out of Billy Bishop Toronto City Airport. Convenient parking is offered at 200 Queens Quay West, an eight-story parking facility just 2 kilometres away from the Airport. Book online to reserve a guaranteed parking space.